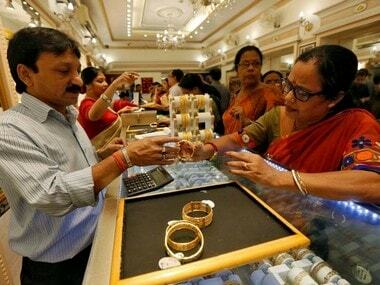 New Delhi: A weak global trend and easing demand from local jewellers pulled down gold prices by Rs 280 to Rs 32,830 per 10 gram at the bullion market on Monday, according to All India Sarafa Association. Besides, silver prices drifted down by Rs 345 to Rs 38,725 per kg due to reduced offtake by industrial units and coin makers. 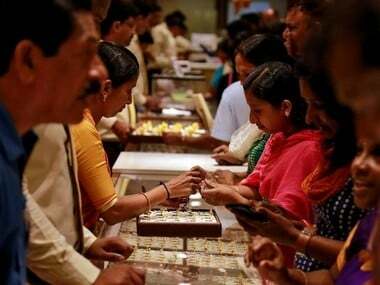 Traders said apart from a weak trend overseas, as equity markets gained and the dollar steadied ahead of a US Federal Reserve policy meeting later this week, fading demand from local jewellers and retailers mainly weighed on gold prices here. Globally, gold price was quoted at $1,299.30 an ounce, down 0.31 percent and silver stood at $15.34 an ounce, lower by 0.13 percent in New York. In the national capital, gold of 99.9 and 99.5 percent purity declined by Rs 280 to Rs 32,830 and Rs 32,660 per 10 gram, respectively. 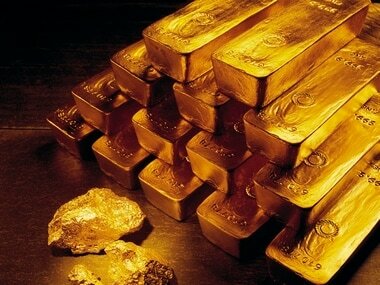 The precious metal had lost Rs 260 on Friday. 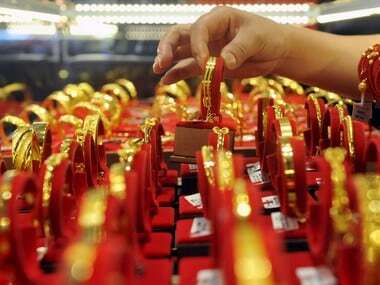 Sovereign gold, however, remained flat at Rs 26,400 per eight gram. Tracking overall trend, silver ready too moved down by Rs 345 to Rs 38,725 per kg and weekly-based delivery by Rs 477 to Rs 37,865 per kg. Silver coins dropped by Rs 1,000 to Rs 79,000 for buying and Rs 80,000 for selling of 100 pieces.